Fifty years after John F. Kennedy was murdered, in broad daylight, in front of hundreds of witnesses and the most famous 8mm camera ever wielded, is it possible to say with certainty who shot him? 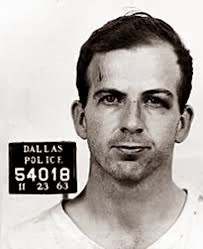 If we hesitate before replying that it was Lee Harvey Oswald, it might not be because we have too little information. It might be because we have too much. Don de Lillo, in his formidable assassination novel Libra, called it the “data-spew” – “an incredible haul of human utterance.” November 22, 1963, must be the most documented day in history. 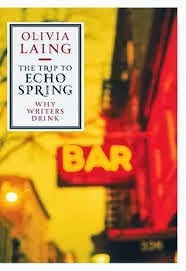 Olivia Laing’s The Trip to Echo Spring: Why Writers Drink is a sobering book. We have a bad tendency to romanticise the figure of the alcohol-fuelled writer – the sodden but eloquent poet, the hard-drinking novelist holding court in the Parisian bar. 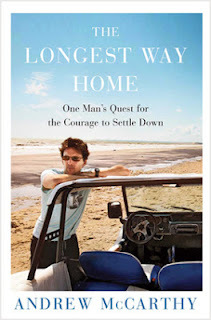 Those macho myths begin to curl up and die of shame about a page into Laing’s haunting book, which omits few details about the pitiful realities of alcoholic life. Laing’s effort to strip away liquor’s allure begins with her title. Echo Spring sounds like an invigorating destination, possibly even a health spa. It turns out, far less salubriously, to be a brand of bourbon favoured by the messed-up Brick, hero of Tennessee Williams’s Cat on a Hot Tin Roof. When Brick wants to forget something, he hits the liquor cabinet. He takes the trip to Echo Spring. Back in 2008, when Christos Tsiolkas published his fourth novel The Slap, he achieved a result that every novelist hopes for. He tapped into something universal. For a while there, everybody seemed to be talking about the same book. You felt left out if you hadn’t read it. It was like Fifty Shades of Grey, except it was good. Mind you, the book had a few rough edges stylistically. But at the structural level it had a tact that Australian novels don’t always possess. 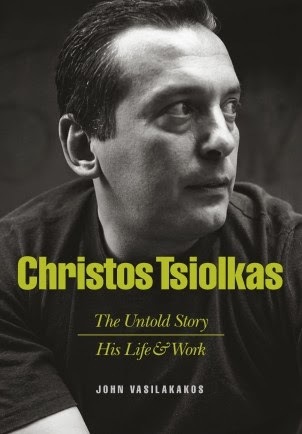 Tsiolkas didn’t cudgel you with his moral views. He withheld his judgment, thus encouraging you to exercise yours. To discuss the book was therefore to argue about it, sometimes ferociously. How annoying was little Hugo? How much of a pig was Harry? In 2011, when the ABC aired its excellent TV adaptation, the arguments started all over again. “There is only one thing in the world worse than being talked about,” said Oscar Wilde, “and that is not being talked about.” It would be an unusual writer who didn’t find that paradox amusingly true. 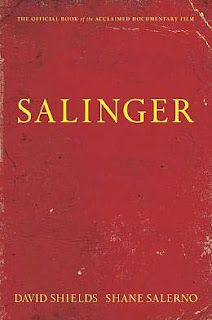 J. D. Salinger, who was an unusual man all round, wouldn’t have found it funny at all. For him, nothing was worse than being talked about. 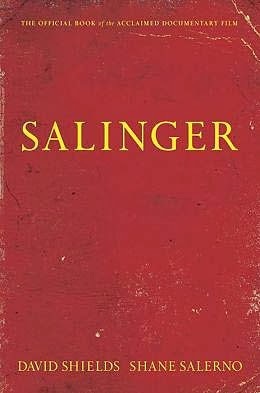 After the success of The Catcher in the Rye, his first and only novel, Salinger turned himself into the most famous recluse in the world. Holed up in his cabin in Cornish, New Hampshire, he issued a trickle of increasingly sterile short stories. Finally he fell silent altogether. When he died in 2010, at the age of 91, he hadn’t published a word in forty-five years. 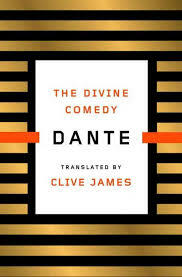 Those of us who can’t read Dante in the original know, or ought to know, that we are missing one of literature’s main events. The calibre of Dante’s fans, and the extravagance of their admiration, put the matter beyond doubt. Edmund Wilson called him the greatest poet of all time. T.S. Eliot put him up there with Shakespeare. Michelangelo put him next to God. 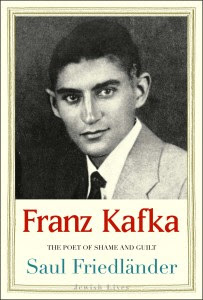 Reading about Franz Kafka’s life can make you wish, fervently, that you were reading one of his stories instead. His life was shot through with angst, self-torture and frustration. So was his fiction – but the fiction had an artistry that balanced out the despair. 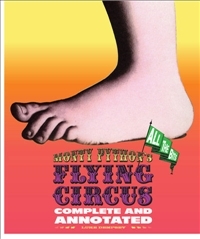 The fiction had humour, narrative verve, wicked moments of invention. The life mainly seems to have been a grim exercise in psychic agony. “Western industrial civilization,” says the British critic Steven Poole, “is eating itself stupid.” Poole’s recent polemic against food culture, You Aren’t What You Eat, has had a sympathetic reception. Apparently Poole isn’t the only person who’s had a gutful of the food craze. 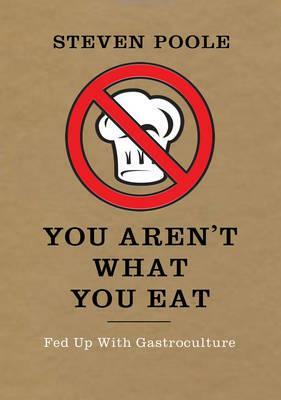 Indeed, putting the boot into foodies is rapidly becoming a craze in its own right. Over Christmas, the novelist Will Self chimed in with an article urging Britons to make a New Year’s resolution to “throw up our very obsession with food itself.” Foodies have had a good run for a while now. But one detects signs that the great feast might be coming to an end. The critics are circling the table like waiters who want you gone. They’re clearing away chairs with increasing impertinence. One senses it might be time to call for the bill. The 1980s were the golden age of almost nothing. But to give the decade its due, it was a good time for teen movies. In the early part of the decade, the actors Andrew McCarthy and Molly Ringwald were giants of the genre. Both were members of the Brat Pack, which also included the likes of Rob Lowe and Demi Moore. But unlike the more trivially good-looking members of that troupe, McCarthy and Ringwald had character. McCarthy was sensitive and exceedingly wide-eyed: he looked like a bush baby with a mullet. Ringwald was famous for her red hair, lush lips, and willowy frame.